This innovative clear, flexible and virtually transparent window thermometer with a centre suction attachment adheres firmly to windows or glass doors using electro-static technology. 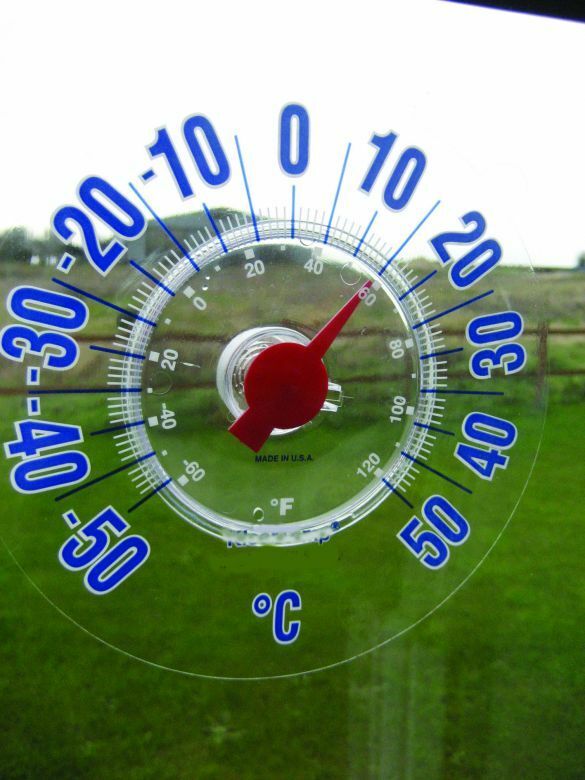 It has been designed to allow air to circulate around the thermometer to stop exaggerated readings caused by heat radiation through the glass. Range: -50°C to 50°C Diameter 80mm. Will stand up to 20mm from window.